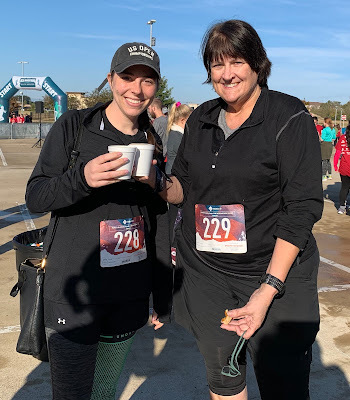 My Journey to Fit: 2018 BCS Turkey Trot 5K Recap! 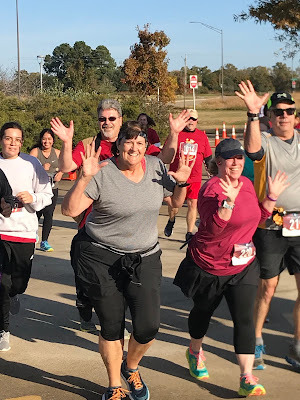 2018 BCS Turkey Trot 5K Recap! Another cute race shirt - I have really loved all of the Turkey Trot shirts over the years, and this one was another winner! And then we ambled over to the starting line, the race began...and Diane and Heather ran back to Diane's car to switch out headphones. 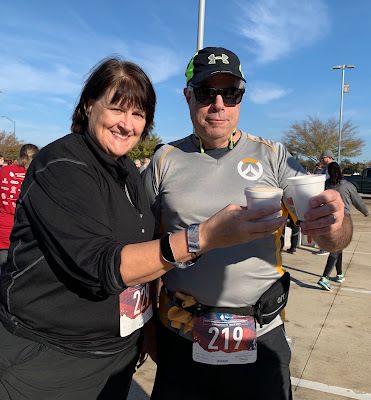 Eh, no big deal, I just waited for Diane to get back and believe it or not, we weren't even close to being the last people across the start line. Jeff ran with us because he just wanted a nice chill run - with his marathon training, he has to be careful as the big race gets closer and closer - he doesn't need to do anything to hurt himself right now. Love the guy behind us getting into the jazz hands spirit! Instead of "hold my beer" it was "hold my pie" - and Jimmymeow obliged...and even returned it to me, uneaten! 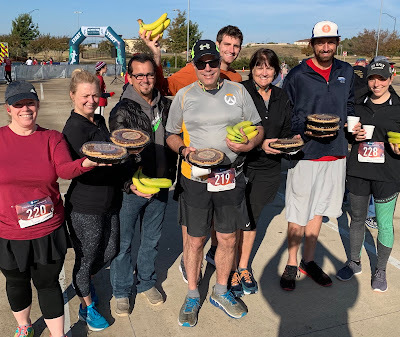 Pie for breakfast or first dessert? 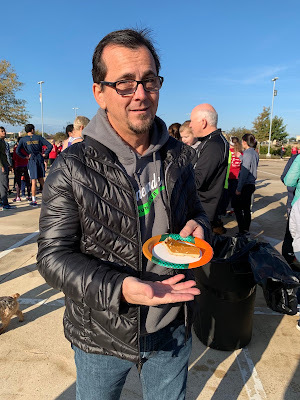 Either way, Thanksgiving began and ended with pumpkin pie! One last item. 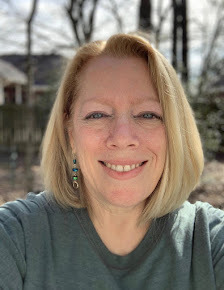 Diane's son Ben was wearing a shirt that several of us read wrong, so I wondered what y'all would say you see that it says (good night Irene I really cannot write today). Here's the shirt with good-natured Ben letting me take the picture, knowing it would be on the blog - thanks, Ben! So tell me - what do you read this as? 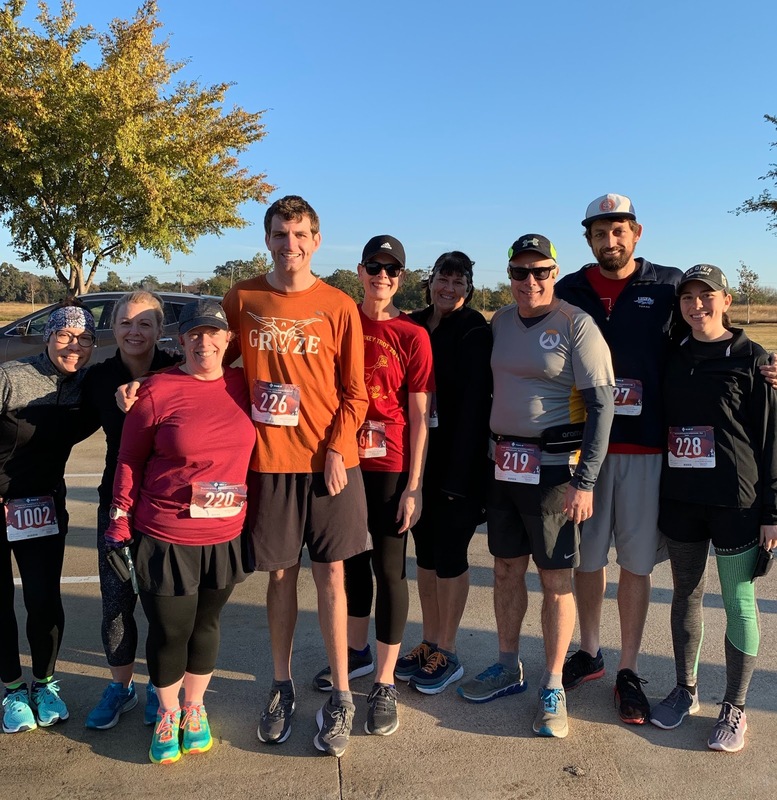 As usual, it was another fun Turkey Trot from beginning to end - there's nothing better than starting Thanksgiving day with a 5K and the Renegades! 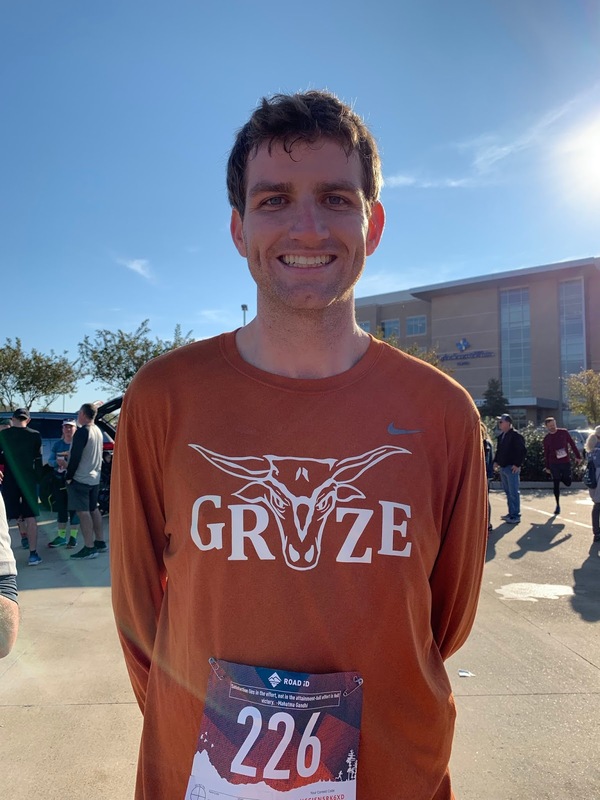 I would probably read that shirt as "graze" because I have no idea if that's a cow, ram, buffalo or what in the center. LOL on cow, ram, buffalo...LOLOLOL. Only LOLing so much because there are a lot of Texans who would be aghast at your comment. Me not being one of them, I look at all of this as an outside observer, even after having lived in Texas for over 25 years. I'm with Helen, I think it says "graze" too. Looks like a fun turkey trot and low key too. I do love a cold craft beer after a race. My TT had chicken noodle soup. You would love a lot of our local races then - craft been is usually a post-race feature! I would also read the shirt as GRAZE. I actually went back to your first group picture to see if the guy who crossed the finish line with you was part of your group. So funny that he was NOT but chose to participate in the Jazz Hands..haha. Is this my local Barbara, by chance? By day, I'm in B/CS. LOL, I was trying to figure out how it possibly said "good night Irene..."
Your turkey trot sounds so fun. 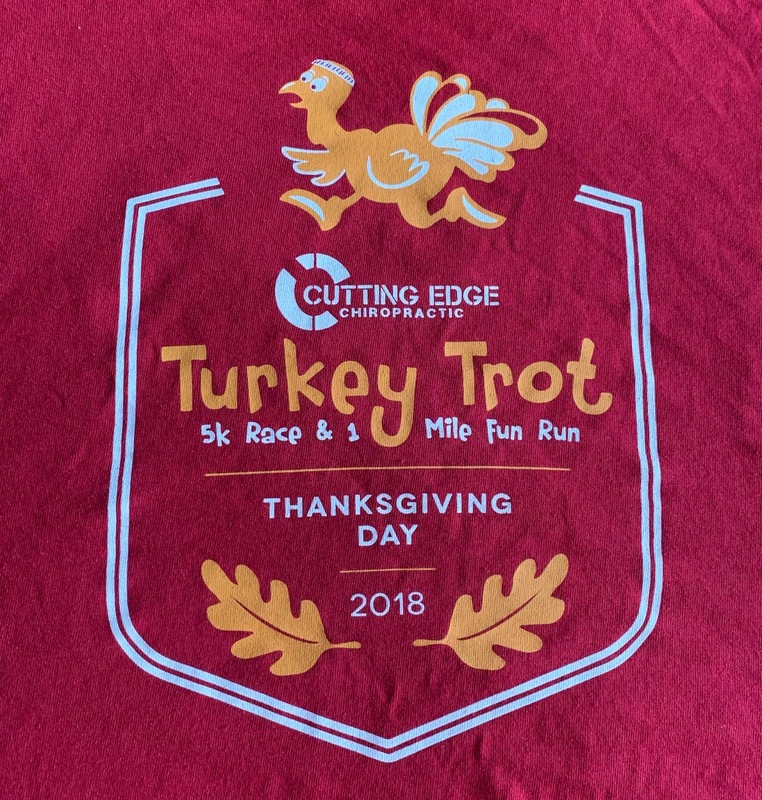 I found out from my neighbors that there is a turkey trot in our area. Its probably half an hour from where we live. Plus, free pies at the end?? Happy day! Well now I'm just cracking up at your interpretation of my wonky writing! It really is a fun race, one of the most enjoyable ones for me. Sounds like a really fun turkey trot for you renegades!!!!! We Renegades always have a good time when we're at a race, that's for sure. Another fun time with the Renegades. I was there virtually. Do I get a pie?? Dang it, I should have snagged one for you! The shirt reads as "GRAZE" to me! Yay for feeling good! And getting a pie! SCORE! Ha, that beer name is funny. 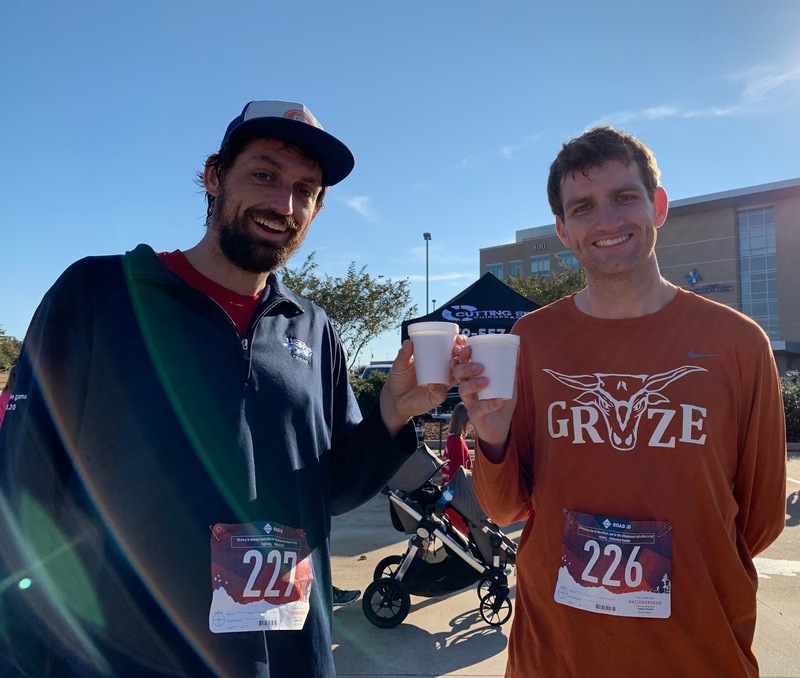 The official race pictures were posted today and ours is one of the better shots, in my not-so-humble opinion, LOL. I thought the shirt said “graze”. At a glance, not really studying too hard. Looked like a longhorn.